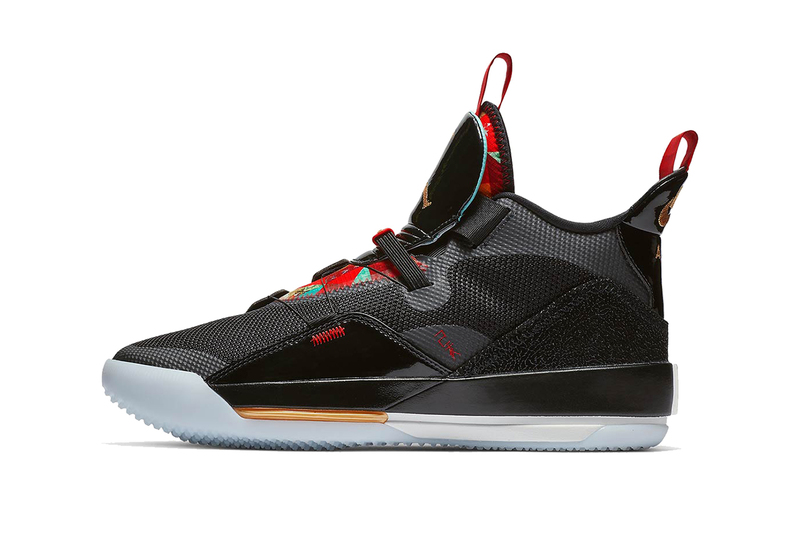 A Clean Look at the Air Jordan 33 "Chinese New Year"
Following Nike and Jordan Brand‘s official reveal of the newest “Chinese New Year” footwear collection, product images of the celebratory Air Jordan 33 have emerged. The next special iteration of the laceless basketball sneaker showcase a black-dominated upper that complements a translucent sole unit. Similar to the Air Jordan 12 “CNY,” you’ll find bright contrasting colors on the tongue and insole, while gold touches are shared on the various logos and text. Shot on location at his local American Deli. Along with ripple sole Nike Cortez. Georgie from ‘IT’ gets the spotlight. Packed with 3M Scotchlite reflective textiles and Nike references.